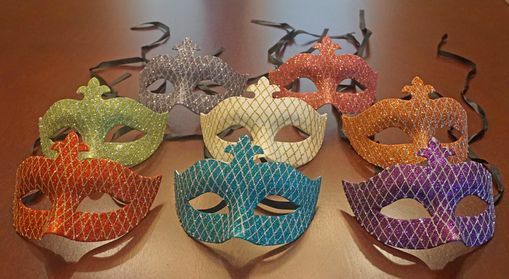 Vanessa masquerade masks is hand glittered and mask is made of a durable non bendable PVC. Masks come with black ribbon ties. Eight different colors to choose from.